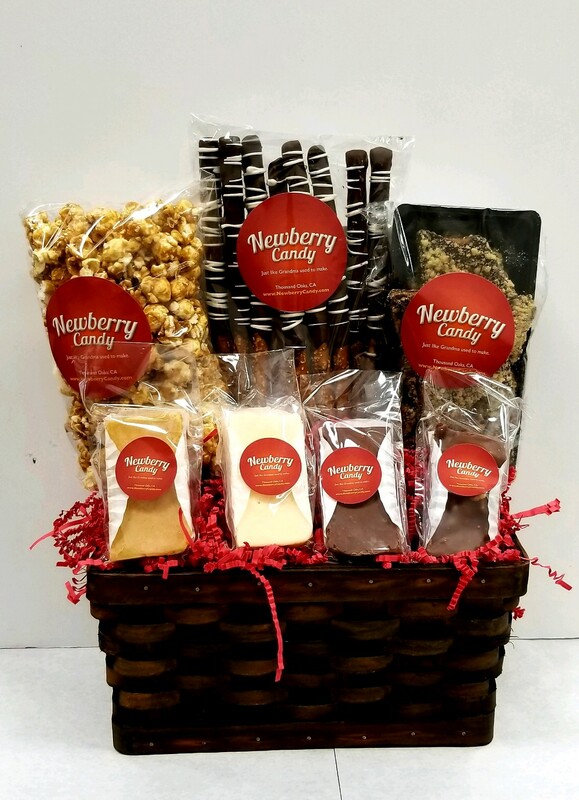 Our gift baskets contain a variety of Newberry Candy that everyone will love. 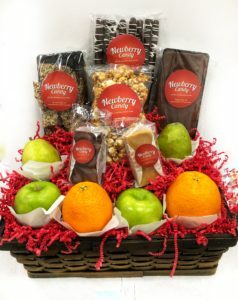 We have Small, Medium, large, big and HUGE gift baskets. Head over to the SHOP page and check them out. We also have dipped strawberries!!! Chocolate dipped strawberries are all the rage. We love them, most people do. So we are expanding our service on strawberries. Starting now you can order 1 full dozed 1 ½ dozen, 2 full dozen or 3 dozen hand dipped strawberries online and www.NewberryCandy.com and pick them up at the shop the next day. Now in doing research for online dipped fruit… I found a couple things that bothered me as a customer. The prices for dipped berries can be really high. And it’s understandable considering that the berries can go bad if you don’t use them quickly. So our prices are set to what we feel is fair compared to the other companies. And to help keep our prices low we use a simple 6 pack package. This whole buy now and get 15% off thing that most of the sites like to do… Nope not for Newberry Candy. Our prices are set below other companies and there is no need for cheap sales gimmicks. I’ve seen reviews for berries from other companies and the quality can sometimes be less than desired. Now I understand that strawberries come in all shapes and sizes. They are a fresh product and sometimes things just don’t work out. So if we cannot get the best berries that live up to our standards… we will contact you to make other arrangements (like selecting a later date) or cancel your order and issue a refund. We want you to be happy with your order and as our saying goes… if I would not deliver it to my grandma I will not deliver it to yours. 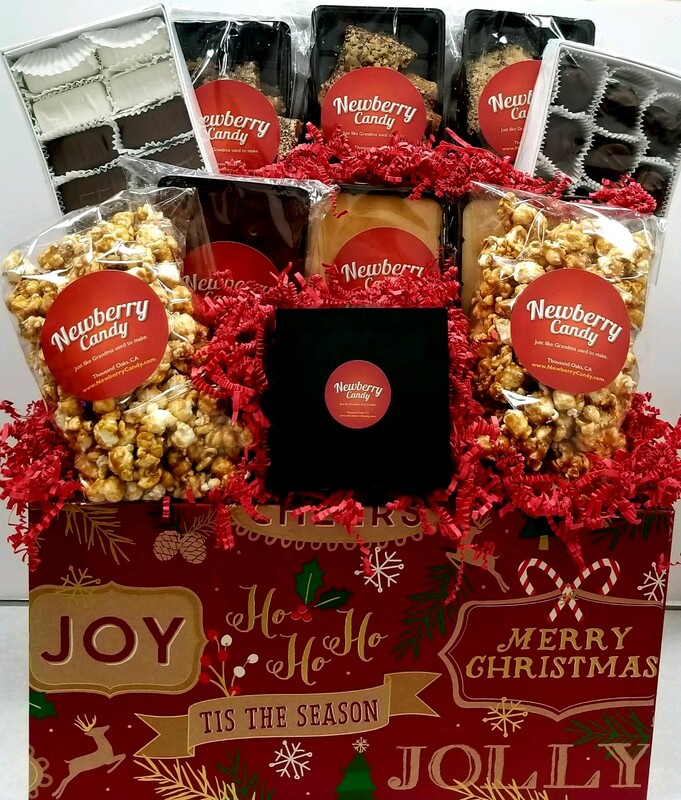 Head over to our SHOP page and check them out!